How was everyone's weekend? Mine was okay. Still getting over this annoying cold! I constantly just feel like sleeping. Any who. 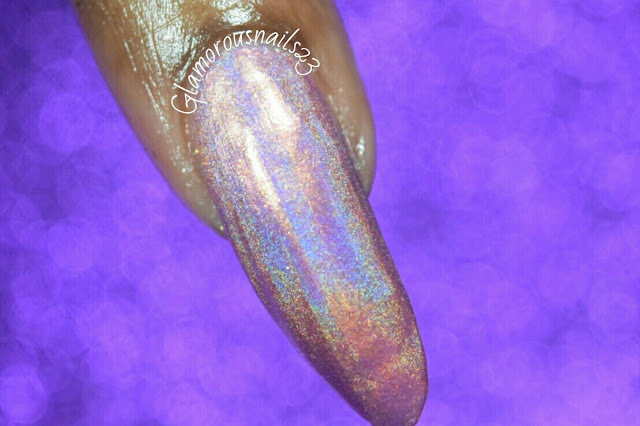 Today I have the ILNP Spring Collection to share with you. 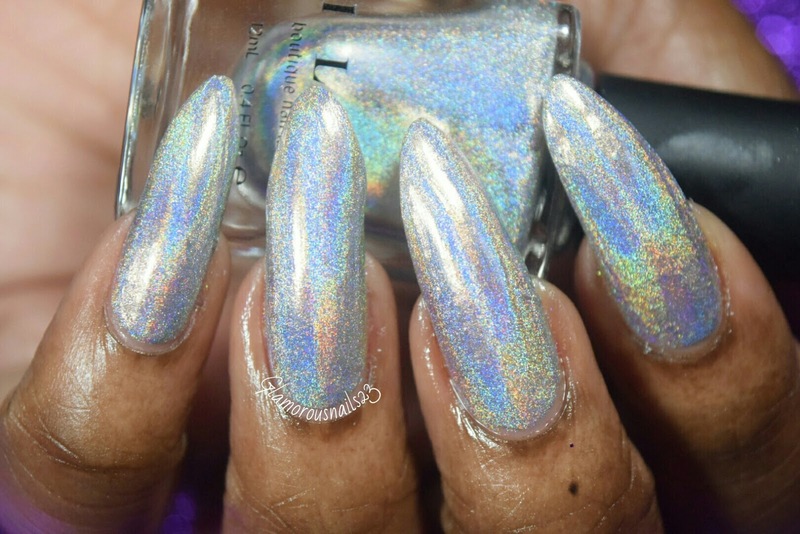 Since this collection has been released there has been two collections released for summer (Summer Collection 2015 & Summer 2015 Ultra Holo Bundle) which I plan on adding to my collection sometime! 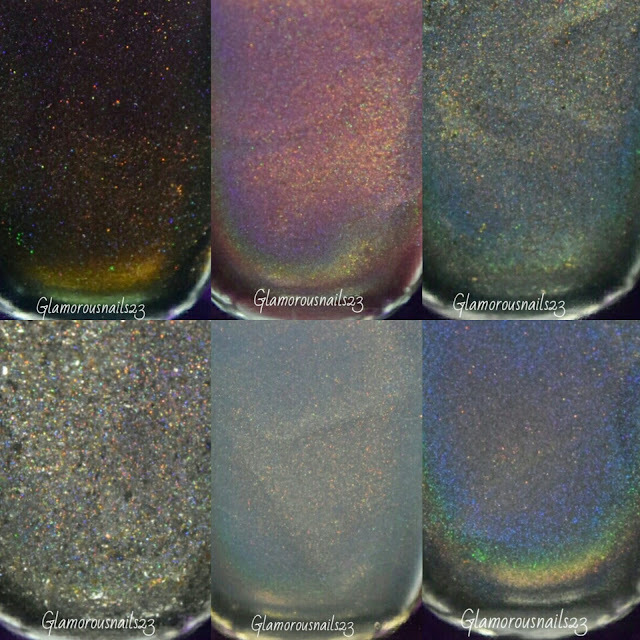 The ILNP Spring Collection collection consists of twelve polishes. I will be sharing six with you right now and the other six next week. 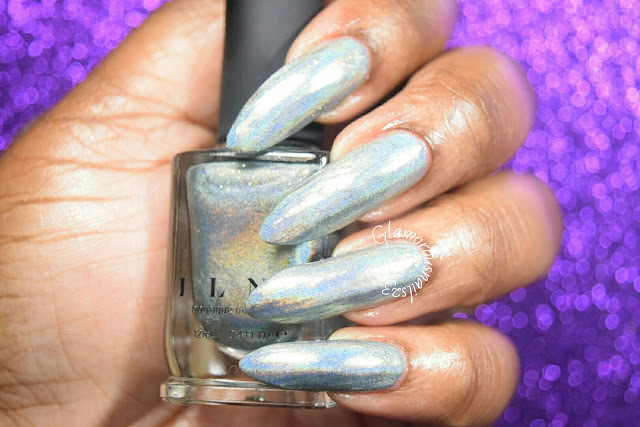 I thought I would also mention that this is my first time ever trying any polishes from ILNP and I plan on eventually getting some more! Let's get started. 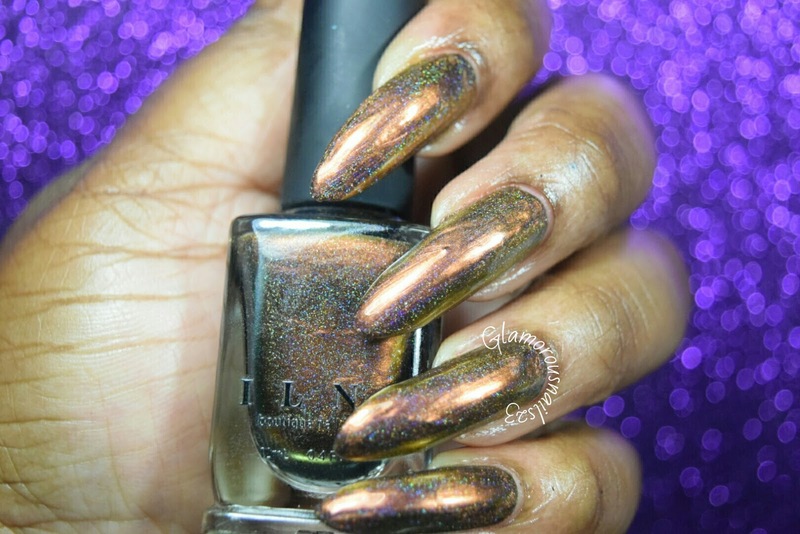 Abundance (H) is a creme copper brown scattered holo polish. 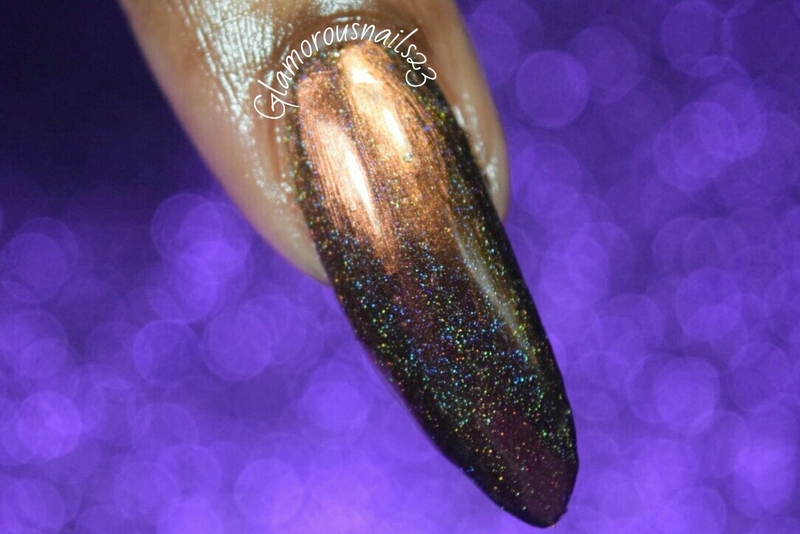 Abundance (H) is the holo version to abundance. The formula is smooth and applied easily. 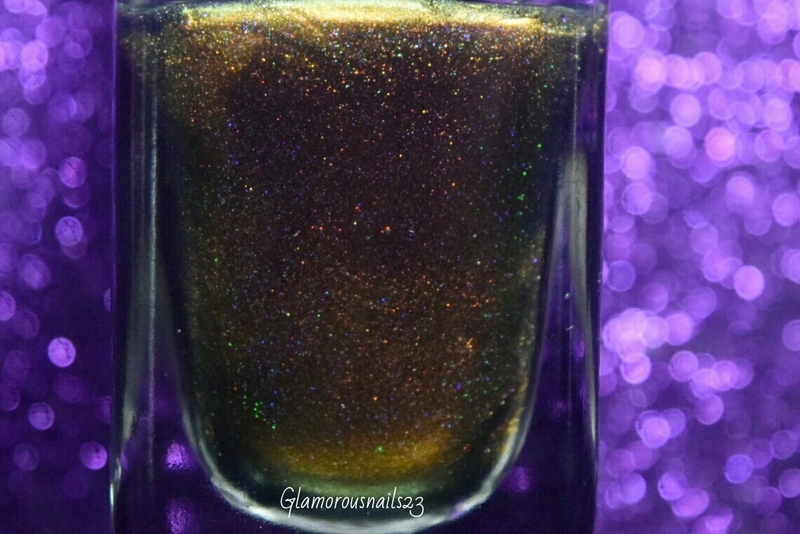 This for me was almost a one coater and I love the color! This beauty shifts from a deep red to a deep orange to yellow and green. 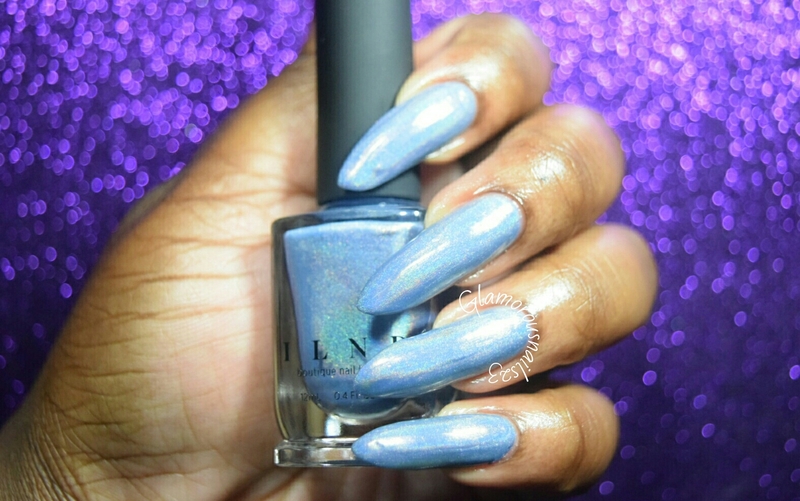 To me this color would more fall in the colors you would see around fall/winter but who cares right?! Shown is two thin coats with a top coat. 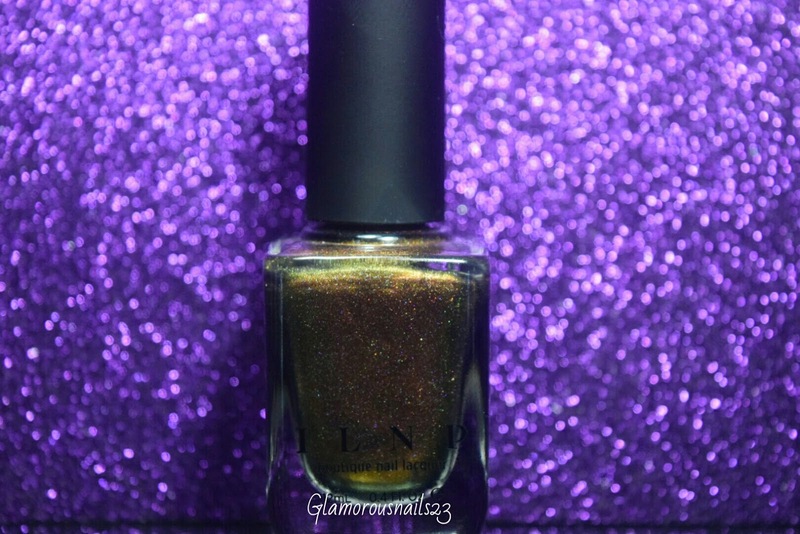 Up next we have Fame. 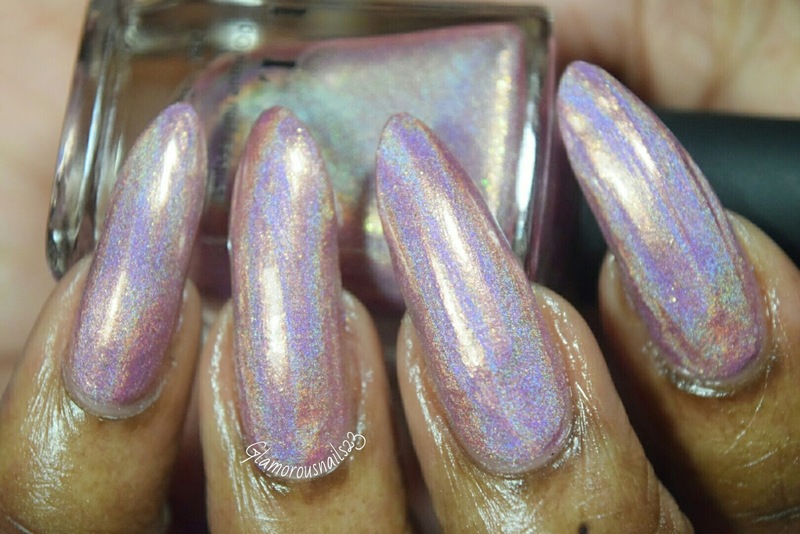 This polish goooolllldd. Literally. 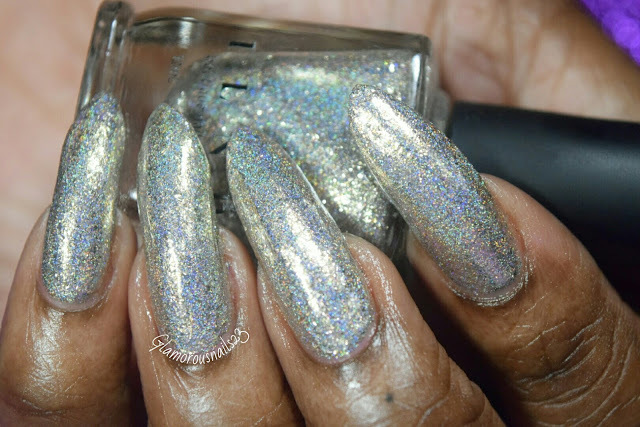 Fame is a holo polish that has a light gold base and once applied seems to appear white gold. This beauty is jam packed with with different sizes of silver and gold flakies! I had absolutely no problems with the formula and it was very smooth with great coverage. I felt like I was ballin' while I had this on. LOL. Shown is two thin coats with a top coat. 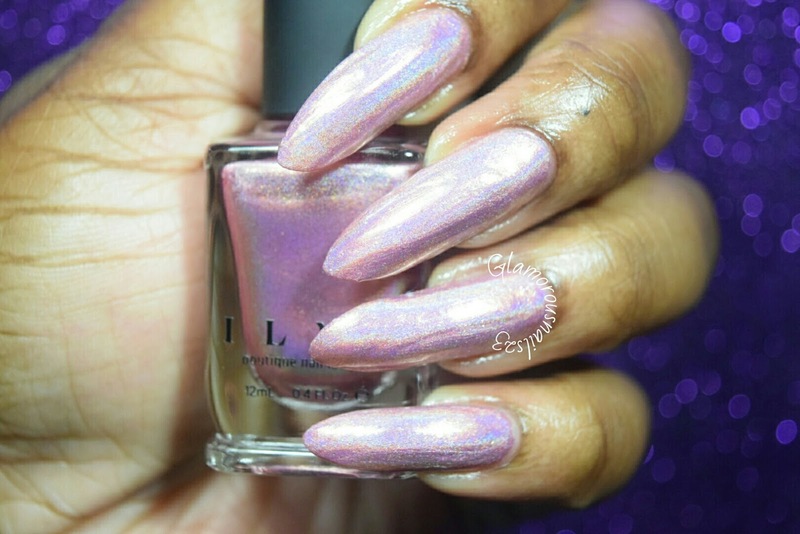 This soft pink vintage linear holo polish with gold flakes is Flower Girl. 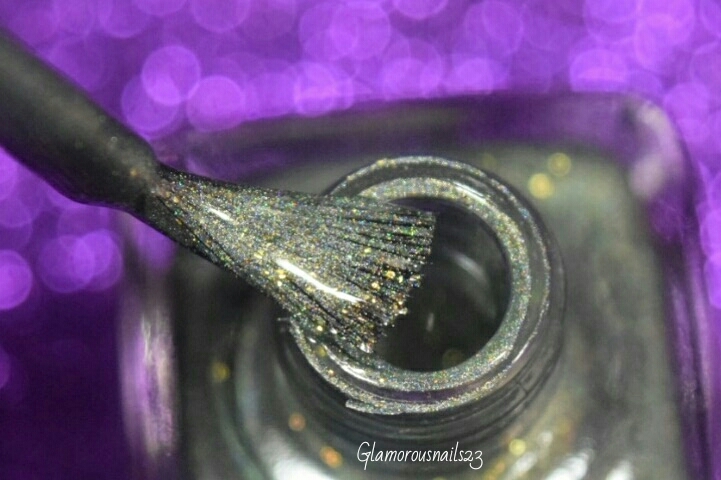 Flower Girl has a very nice formula that's smooth and gives exceptional coverage and builds very nicely.I love how girly and pretty this color is. 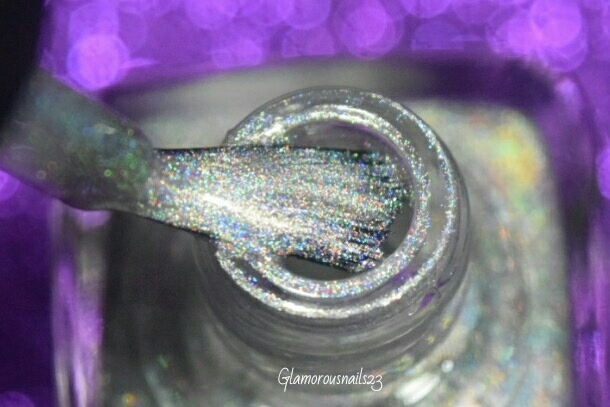 I can see a bride, her bridal party, or even the flower girl (hence the name) wearing something this. 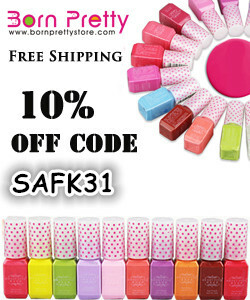 For some strange reason I keep thinking of the power puff girls when I say the name LOL. 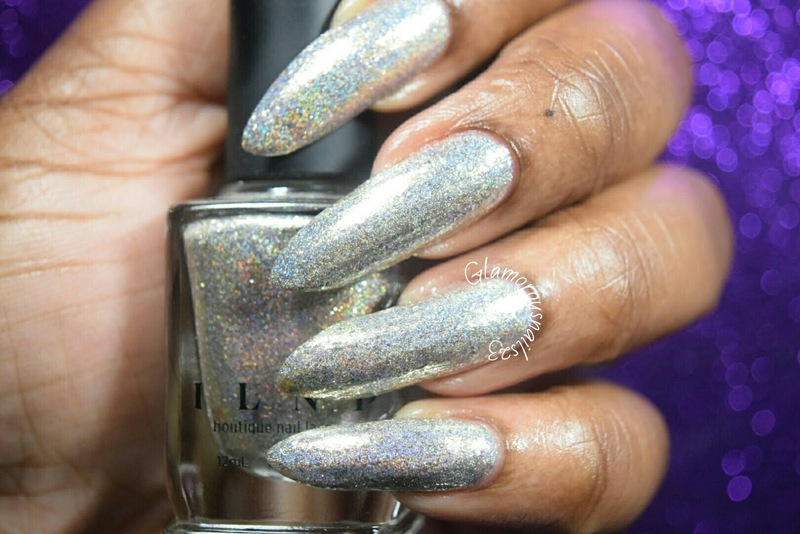 Shown is two thin coats with a top coat. Next up is Mega (S). Mega (S) is a remake of Mega and Mega (L). There is even a Mega (X) which I just can't wait to get my hands on! 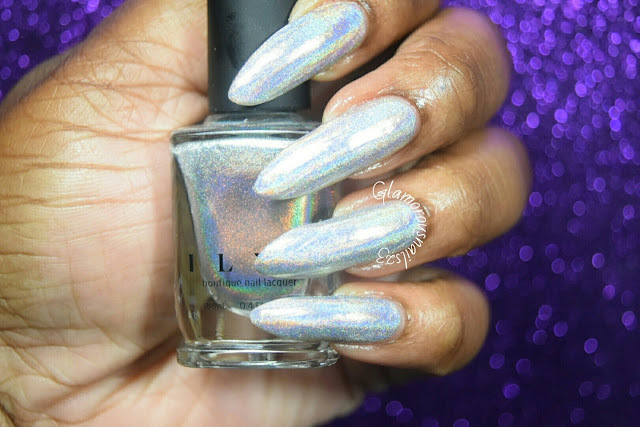 Mega (S) is a in your face silver holo polish that is smooth and absolutely to die for. 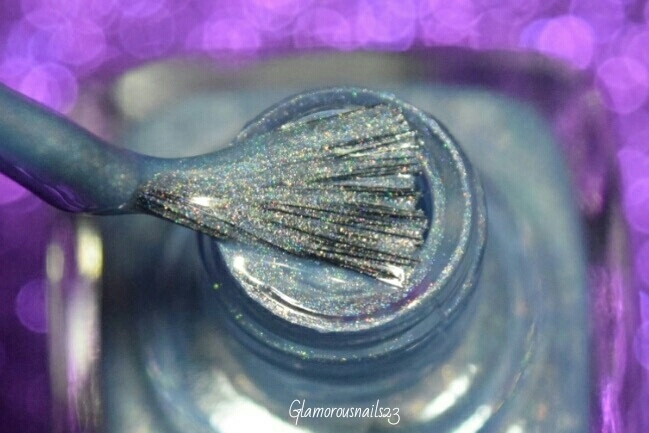 This polish has amazing coverage, built nicely and I mean look at it!! What's not to love. Just don't wear this while driving it can be distracting Lol. 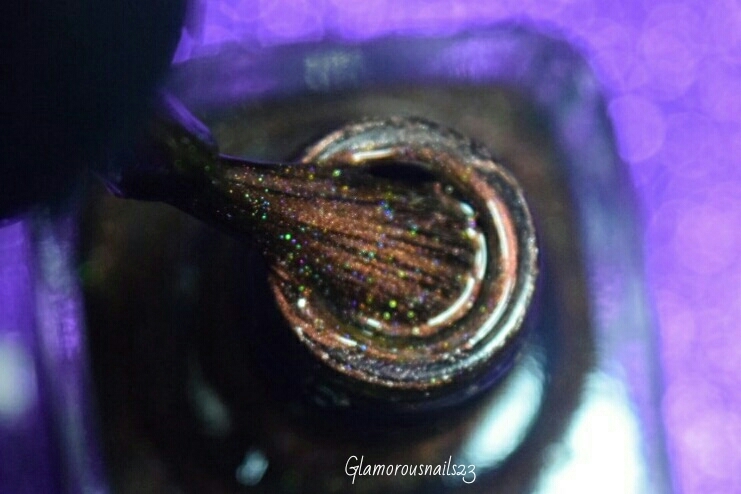 Shown is two thin coats with a top coat. 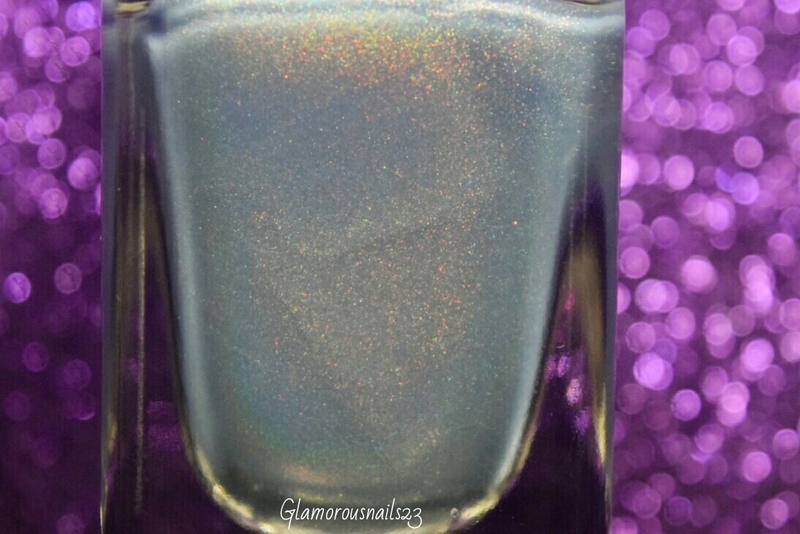 Just like Flower Girl , Peri Me is another one of those softer delicate colors of the collection. 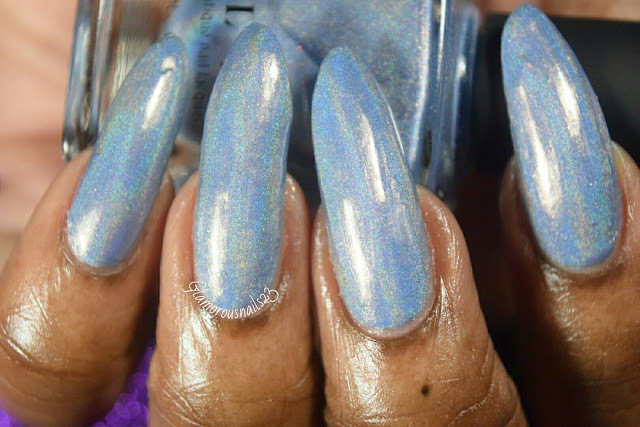 Peri Me is a periwinkle fine linear holo with gold flakes and red micro-shimmer. This is such a pretty color for spring and even for a wedding. 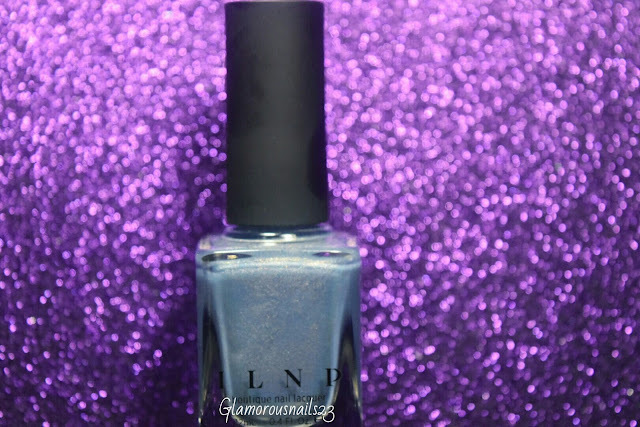 The formula was what any would expect from a boutique brand such as ILNP. 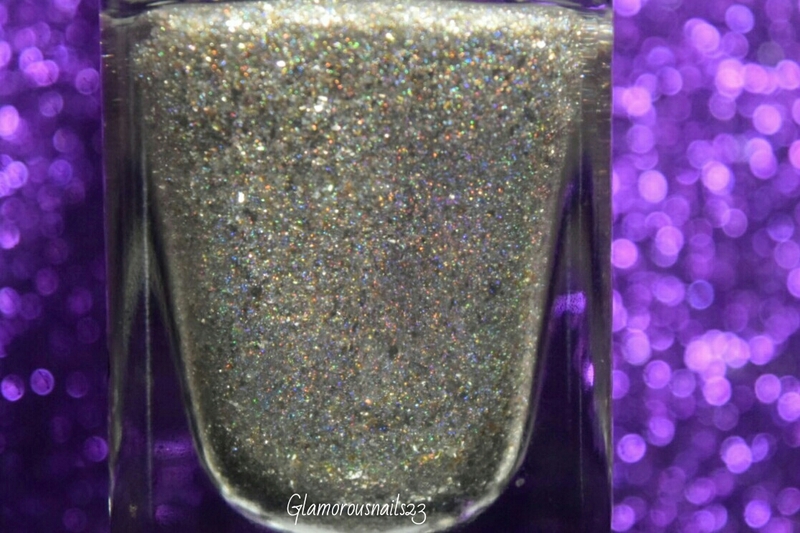 Shown is two thin coats with a top coat. 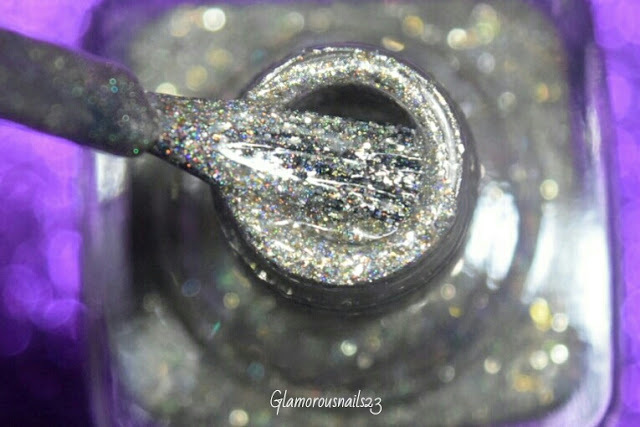 The last polish that I will be sharing with you is Timeless Vow. 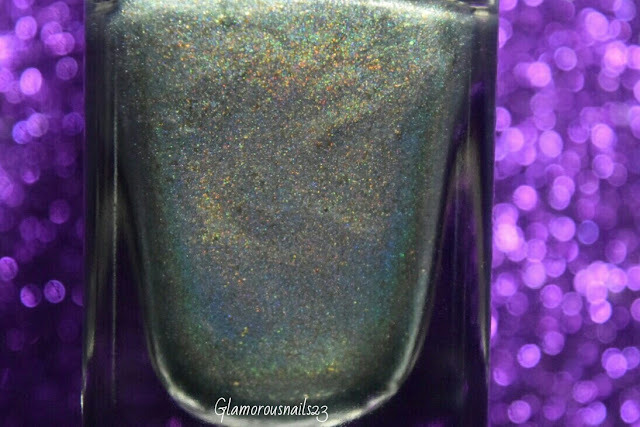 Timeless Vow is a sage green linear holo polish with gold flakes. The formula is wonderful just like the others that I've shared with you today. 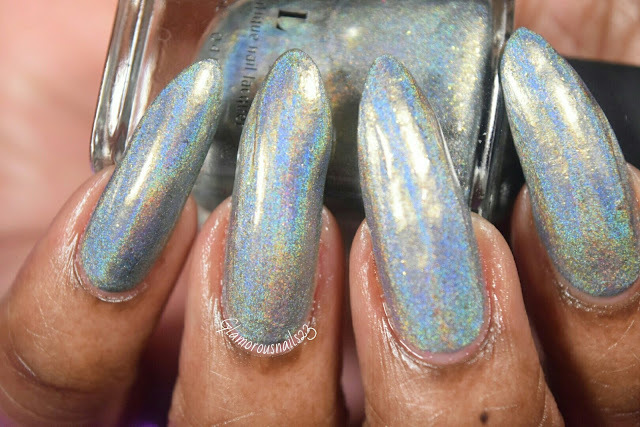 When I first saw the polish I thought I wasn't going to like it...but I do! It's such a beautiful and pretty color that also fits the wedding theme. I even think I have a formal dress that would go perfect with this. This one had my camera on the fritz sorry! 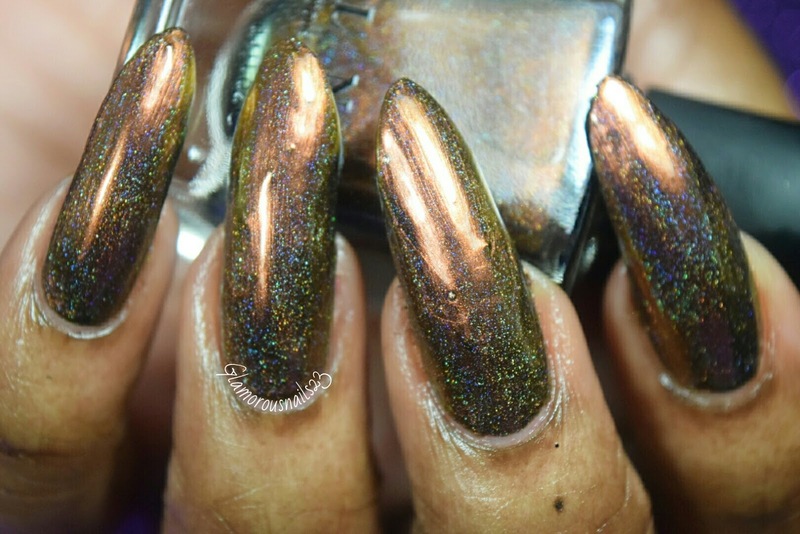 Shown is two thin coats with a top coat. 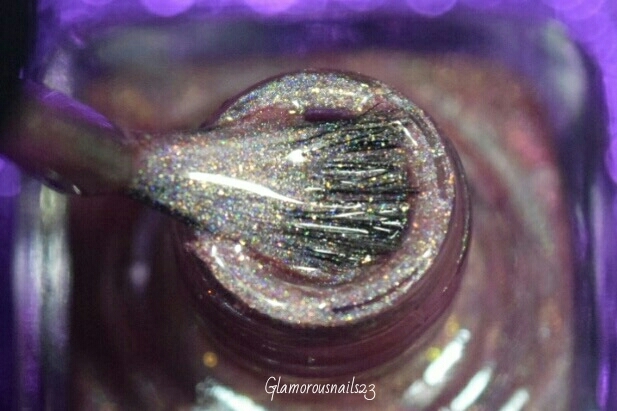 I absolutely love the polishes that I have tried so far from ILNP and I plan on adding some more of these to my collection. My favorites from this set are Abundance (H) and Fame. 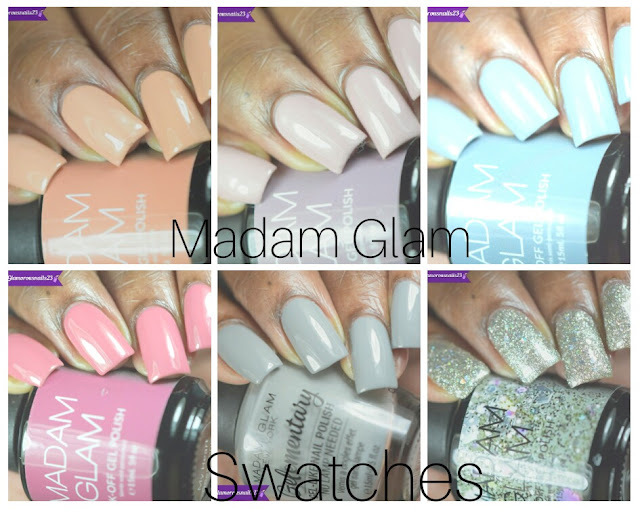 Do you own this Spring Collection? Which ones are your favorite? 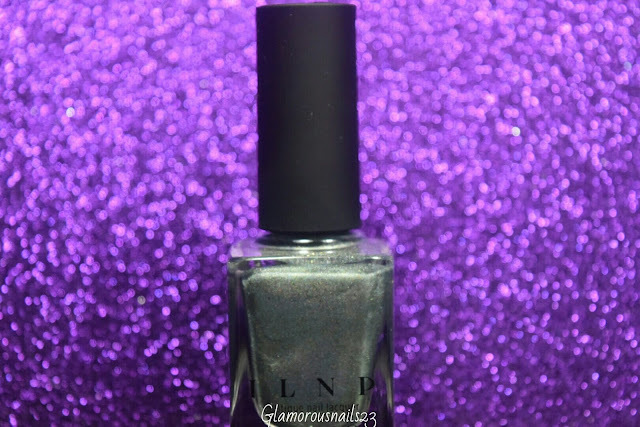 Have you ever tried ILNP before? 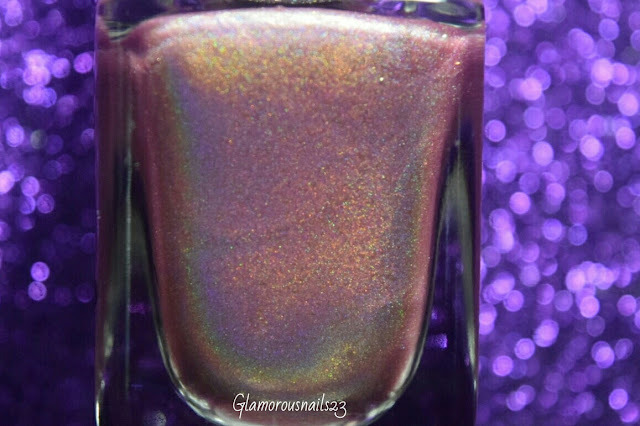 Let's talk polish below! You're welcome and thank you! Glad that you enjoyed it!